Each month I try and share books with you that I've read and loved. Some of them might be bestsellers but most of them won't be. If you're looking for something to read, why not check out one of these? 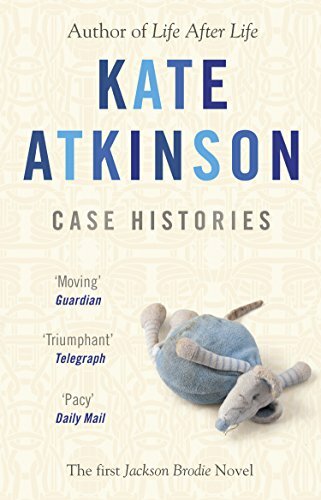 Case Histories is the first of Kate Atkinson's series featuring Jackson Brodie. "Cambridge is sweltering, during an unusually hot summer. To Jackson Brodie, former police inspector turned private investigator, the world consists of one accounting sheet - Lost on the left, Found on the right - and the two never seem to balance. Surrounded by death, intrigue and misfortune, his own life haunted by a family tragedy, Jackson attempts to unravel three disparate case histories and begins to realise that in spite of apparent diversity, everything is connected..."
I thought this was really well written, with great characters and the way the stories were woven together was well done. Jackson Brodie is an interesting character (and was well played on TV by Jason Isaacs) with lots of shades of grey. If you've not yet checked out Kate Atkinson's series, why not give it a whirl this summer? Most of the books I've recommended over the months have been crime. This one isn't. I'm actually a big fan of fantasy and science fiction, as well as crime and Neil Gaiman's Ocean at the End of the Lane is fabulous. 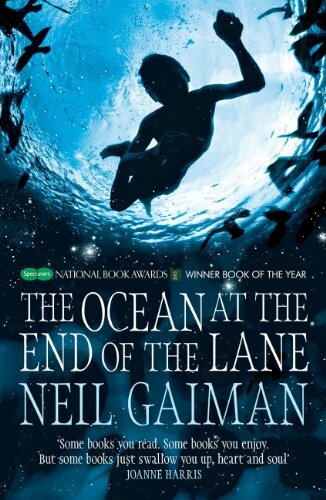 "The Ocean at the End of the Lane is the bestselling magical novel from Neil Gaiman, one of the most brilliant storytellers of our generation and author of the epic novel American Gods, and the much-loved Sandman series. 'Possibly Gaiman's most lyrical, scary and beautiful work yet. It's a tale of childhood for grown-ups, a fantasy rooted in the darkest corners of reality' (Independent on Sunday). If you loved the mesmerising world of Erin Morgenstern's The Night Circus or were drawn into J.K. Rowling's magical universe, this book is for you. "It began for our narrator forty years ago when the family lodger stole their car and committed suicide in it, stirring up ancient powers best left undisturbed. Dark creatures from beyond this world are on the loose, and it will take everything our narrator has just to stay alive: there is primal horror here, and menace unleashed - within his family and from the forces that have gathered to destroy it. The Ocean at the End of the Lane is a fable that reshapes modern fantasy: moving, terrifying and elegiac - as pure as a dream, as delicate as a butterfly's wing, as dangerous as a knife in the dark." I'd originally heard snippets of it on BBC Radio 4's Book at Bedtime, but hadn't heard all of it. Much as I love Book at Bedtime, the book was far better than the radio version - truly thrilling and engaging. 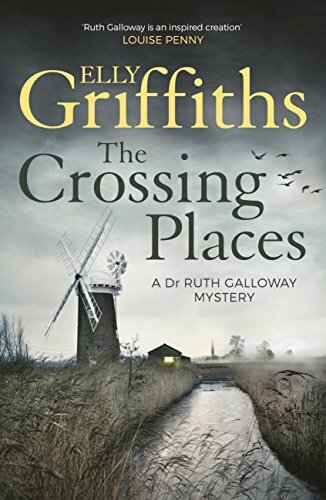 I discovered Elly Griffiths' excellent books by chance - there was an offer for the first 4 or 5 of the Elly Griffiths books as a bundle and I took a chance on it. I was very glad I did! The main character, Ruth Galloway, is a forensic archaeologist, which makes the set up a bit different. The main policeman, DCI Nelson is also a brilliant character and the interplay between the two is great. Cathbad, the druid is also a corker of a character! I read all of the set I had in about a week - I just inhaled them! "WINNER OF THE 2016 CWA DAGGER IN THE LIBRARY. A child's bones are discovered on the windswept Norfolk marshes. 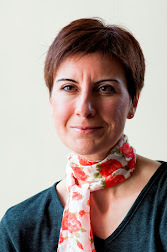 Believing them to be ancient, the police call in Dr Ruth Galloway, forensic archaeologist. But this is no prehistoric grave. It seems a cold missing person case has now become a murder investigation. A must-read for all crime fiction fans, particularly readers of Val McDermid and Ann Cleeves. Dr Ruth Galloway is called in when a child's bones are discovered near the site of a pre-historic henge on the north Norfolk salt marshes. Are they the remains of a local girl who disappeared ten years earlier - or are the bones much older? DCI Harry Nelson refuses to give up the hunt for the missing girl. Since she vanished, someone has been sending him bizarre anonymous notes about ritual sacrifice, quoting Shakespeare and the Bible. He knows that Ruth's expertise and experience could help him finally to put this case to rest. But when a second child goes missing, Ruth finds herself in danger from a killer who knows she's getting ever closer to the truth..."
So, those are my recommendations. What would other suggest?